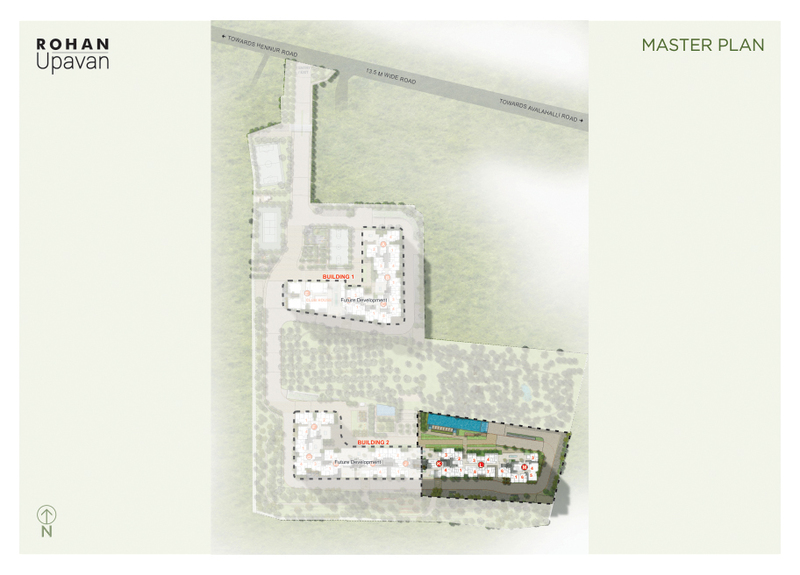 with unit area ranging between 390 square feet to 1060 square feet . The core design of the township accentuates on the prominence of creating cozy &amp; roomy indoors equipped with dense, abundant outdoors. The housing units are elegantly designed to be vaastu compliant, capacious, well-lit and well- ventilated. 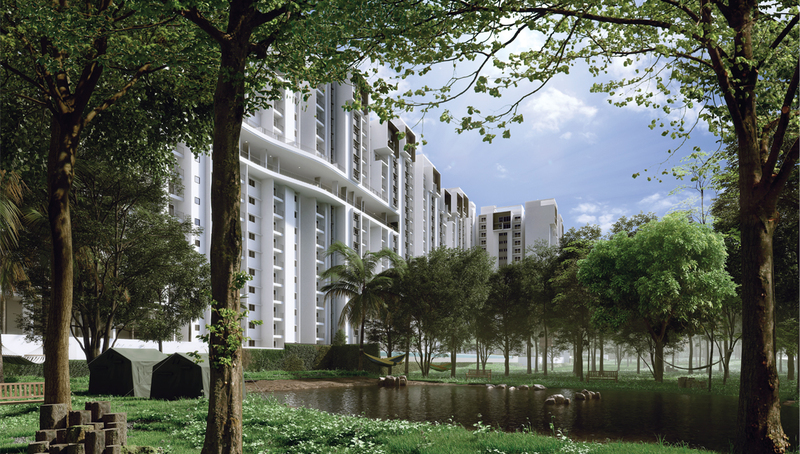 The residential block has a sky-desk at 11 th floor and is outlined to have a full view of outdoor landscapes. It is also furnished to have indoor sports facilities like Pool, Table Tennis, Lounge area, Multi-function gathering area, and Library. The campus shelters exclusive nature amenities within the outdoor green plantations like tree house, bio retention pond, reflexology walkway, garden gym, picnic &amp; camping area with tents, hammocks. 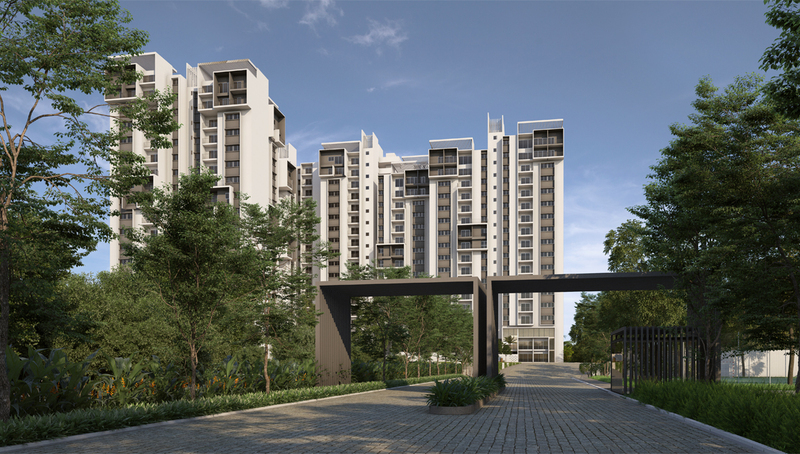 Rohan Upavan is located in plush locales off Hennur Road, Bangalore. The surroundings in and around Hennur Road are very cosmopolitan in nature and is aided with good connectivity and infrastructure. 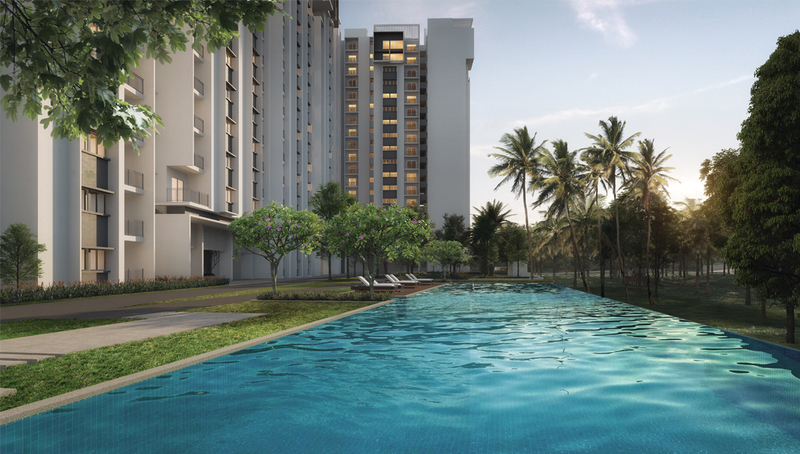 The area is well connected to Banaswadi Railway Station and is just 25 Kms from Kempegowda International Airport and Majestic lies 20 kilometres away from here. Employment hubs of Manyata Tech Park, Koramangala, KIADB Industrial Area and Whitefield are at close drive distances. Hennur is supported with a strong social framework. Some of the reputed schools of this region are BM English School, East Point School, Patel Public School and CMR National Public School. Leading hospitals include the Good Shepherd Health Centre and Bangalore Eye Hospital. Elements Mall and Orion East Mall are few famous shopping malls of this neighbourhood. Vitrified floor tiles in living and bedrooms. Superior quality paints across the unit. All Bedrooms internal doors with Sal wood frame. Main door single hard wood shutter door. CP fittings of reputed make (taps, showers). Round the clock 3-Tier security system with intercom facility. Rohan Builders (India) Private Limited – a pune based Builders started in 1993 as a modest but strong, multi-disciplinary Organization, with diverse interests in Infrastructure Development, Industrial Construction, Real Estate Development. In the industrial construction business, long-term relationships and repeat orders with many of the reputed clients are a testimony to the quality and value of services offered by Rohan. In the real estate space, the Rohan group is known for new concepts in residential development, including innovative design and structure, modern and new amenities, quality construction and timely delivery. Rohan has received ‘DA2 CRISIL rating for Real Estate Development’ signifying its commitment to delivering a quality product. It has real estate operations in Pune and Bangalore. The group also has a substantial presence in the infrastructure segment mainly for construction of roads and bridges on BOT or Annuity basis. It has executed projects in Punjab, Rajasthan, and Maharashtra.